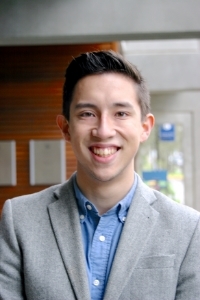 Ryan Lackey is a senior English major at George Fox University. He hopes to attend (and complete) graduate school. He would like to teach English, eventually. In his spare time, he reads, mostly – and not always just David Foster Wallace. Currently, he serves as the co-editor-in-chief of the George Fox University newspaper, The Crescent, and assists in editing The Wineskin, a magazine of literature and art. His writing also appears on his (erratically updated) blog, farbetterrest.wordpress.com, and on the George Fox University Athletics website. His fiction was shortlisted for the 2015 Channillo Short Story Prize. He supports Arsenal FC and his hometown Portland Timbers, and he believes with deep conviction in the immense potential of literature to work in, between, and among people.